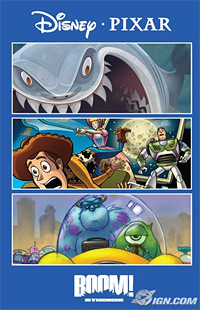 The Walt Disney Company Italy are experts in making nice websites to promote their comic books. Topolino.it is (in my opinion) by far the nicest official website for Disney comics in the world. It’s a beautiful Flash website with lots of interactive games, stories and information about their titles. 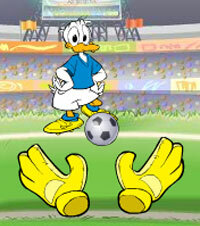 I just came across a fun soccer game with Donald Duck: Paper Gol. Check it out and see if you can beat Donald. 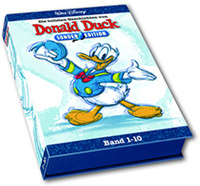 Ehapa Verlag, publisher of Disney comics in Germany, is reprinting the first 50 issues of the popular Donald Duck Sonderheft in five unique collector’s sets with a limited print-run of only 4,444. The original 50 issues came out between 1965 and 1977 and the first 40 have never been reprinted since. They contain many classic stories by legendary artist Carl Barks and translated to German by much-praised Dr. Erika Fuchs, who was Micky Maus’ first editor-in-chief. The high-quality sets can be ordered for EUR89.95 ($140) each at entlich-da.de and are available to Disney fans in Germany, Austria and Switzerland. The first box is out now.